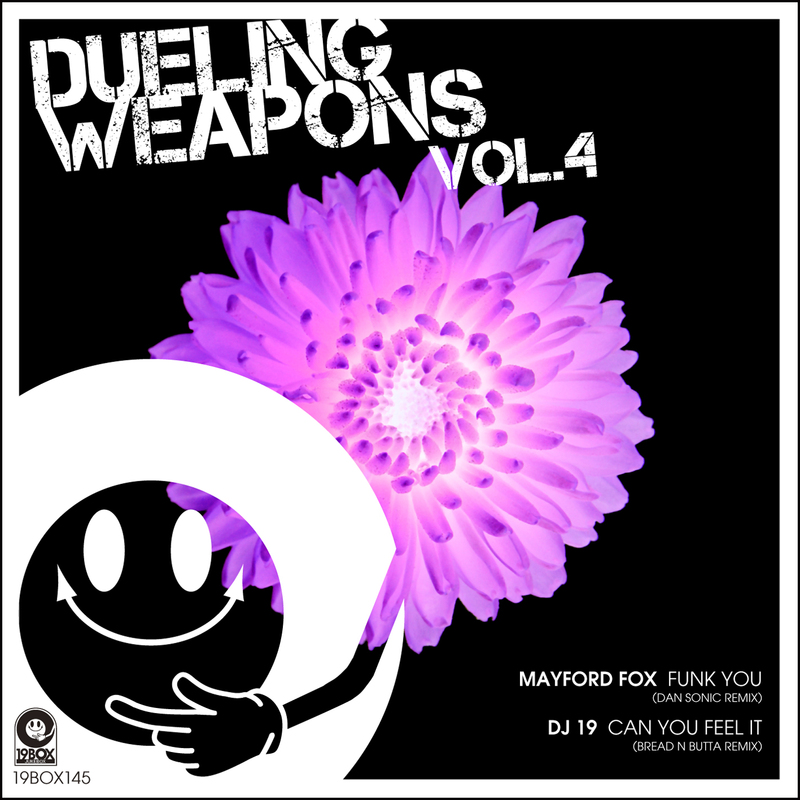 19BOX(JIKEBOX) RECORDINGS is proud to bring you the 4th installment of 'Dueling Weapons', which will focus on unreleased remixes to rock the dance floor. 'Dueling Weapons Vol.4' includes exclusive remixes by artists such as Dan Sonic and Bread N Butta. After having released on 19BOX RECORDINGS' sub label PARK LIMITED MUZIK, Mayford Fox is back with our fave Dan Sonic rework of 'Funk You', which is one of the most successful tracks in the 'Angry Makes You Happy EP'. He combines house and progressive house with funky basslines and infectious grooves. Way back in 2004, the original 'Can You Feel It' track was a quality circuit house-inspired workout, fit for DJ 19's own PARK party at ageHa. He sold t-shirts at the party (and online) with the 'Can You Feel It' logo on it. Seeing as the original mix suffers from sounding somewhat dated and the original source files lost, we came up with the brilliant idea of releasing the remix without the original version! Bread N Butta aka One Less Of Them, heads into deep territory with a Latin flavoured funk groove. Ambrozia's iconic cover song 'Harden My Heart' gets reworked on 19BOX RECORDINGS for 2018! Originally released in 2017, DJ 19, Edison and Julianne updated Quaterflash's million-selling single in 1982 as lounge style, and recorded in the album "Resurrection", then delivered a different mix in 'Transition EP'. Remix duties are expertly handled by LazySofa and Genuine Fakes. Slovakian producer LazySofa's version contains a hypnotic deep minimal cut with pitched down vocals and mysterious hangdrum, making it effective on dark room dance floors. Genuine Fakes' version showcases a proper vocal remix with 80s vibe, making it work for radio. 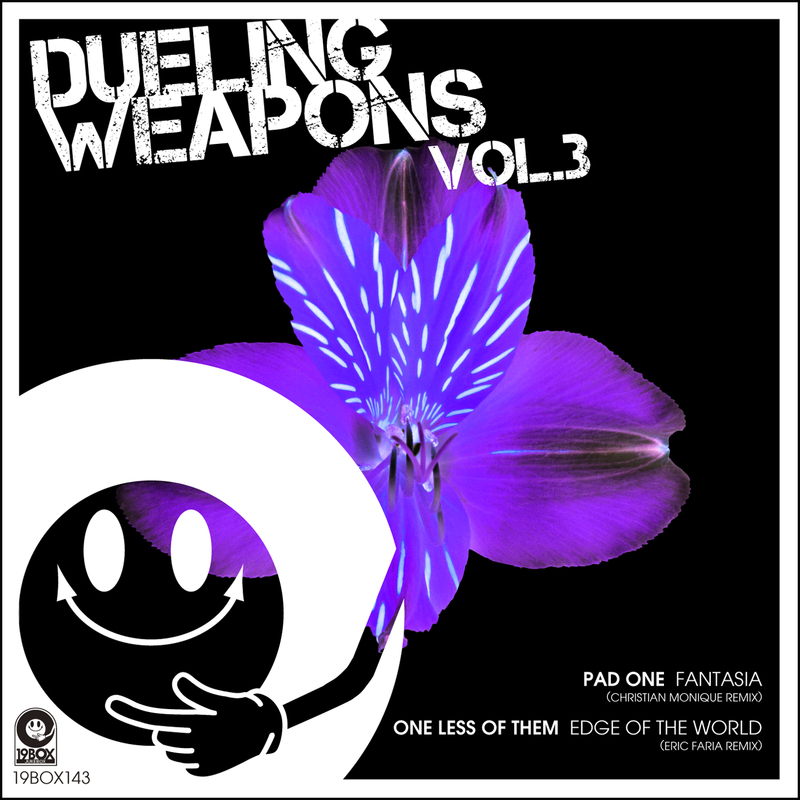 19BOX RECORDINGS is proud to bring you the third installment of 'Dueling Weapons', which will focus on unreleased remixes to rock the dance floor. 'Dueling Weapons Vol.3' includes exclusive remixes by artists such as Christian Monique and Eric Faria. 'Fantasia' is a deeply tech progressive house by Pad One, originally released in 2016. We have Christian Monique's debut remix for the 19BOX RECORDINGS imprint. 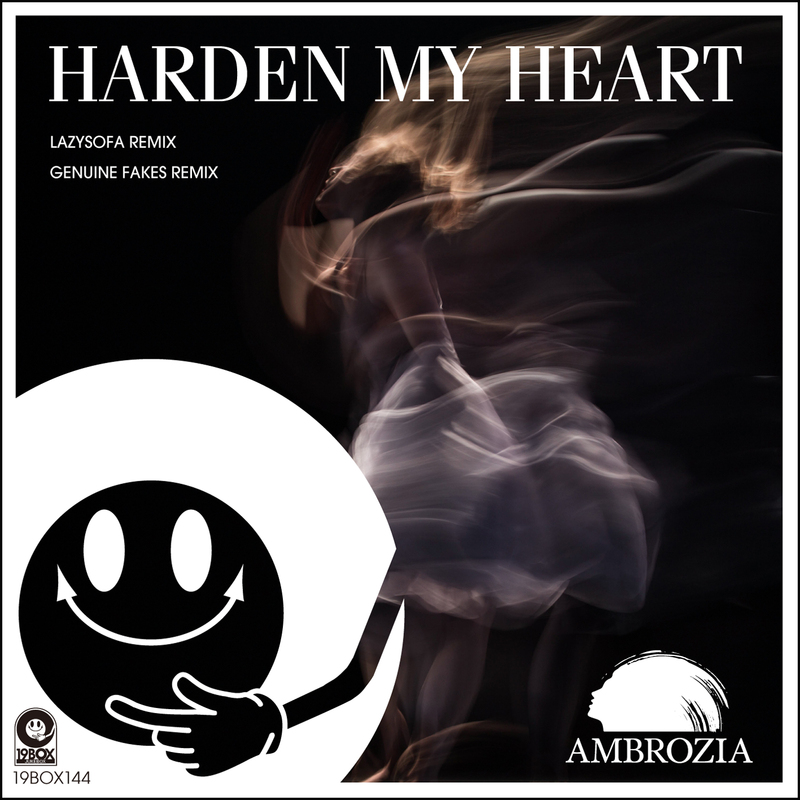 His remix is a spatial, melodic track with an intensifying synth chord hook. Next is 'Edge Of The World'. The original mix is a deep and retro vibe track done by One Less Of Them aka Bread N Butta. Eric Faria mixes a classic house groove with the groovy elements placed right in the spotlight. Pick your favorite and have fun!